I wondered why some directories getting corrupt on Peppermint OS 3. Well , I think I have found the problem. When I delete something via trash can, and I forget to empty the trash before shutdown, an error appears (File Input/Output Error) when entering the directory the files were stored, and the directory is corrupt. If you dismiss the error you can access the rest. That is apparently why you can't move files to the trash bin on Ubuntu. You can on Peppermint OS 3, but with strange things happen, like some files can get restored from the trash, while others can. And the above problem if you shutdown the system. 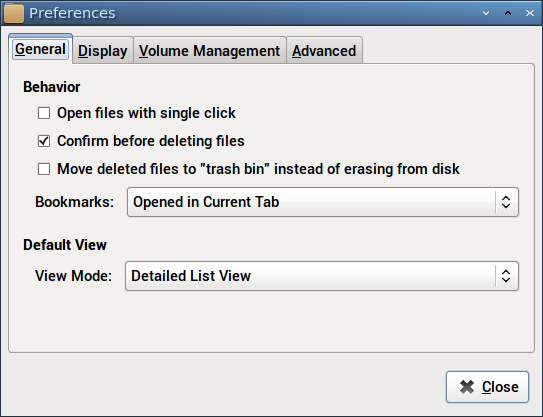 Remove the mark at the "Move delete files to 'trash bin'..." line, like in the screenshot. Be careful, all files will be deleted immediately. The error is reproducible on my system. Update 03/07/2013: I discovered some serious data losses today. And it turns out it's Windows 8 and Linux' checkdisk. They both find errors on the drive and try to repair them. 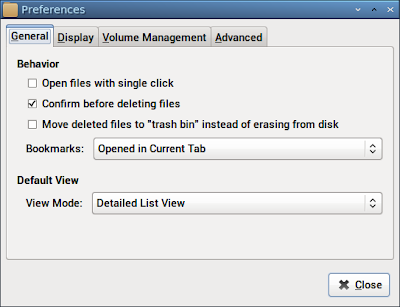 On that action on both sides, files are missing or resulting in a "0KB-File". This is total chaos and it seems that WIndows 8 and Peppermint OS 3 (Lubuntu) is incompatible on the same NTFS partition. I disabled Write-Access on the Linux side and no longer using that partition to save data. I don't know how this turns out on external harddrives. Be careful. I use FAT32 on external harddrives only. If you use NTFS, those problems can eventually happen to you, too.